Living at The Point is like being on vacation all year long. Life at The Point revolves around Lake Norman. More than 500 families have already made their homes along the 18 miles of shoreline. Most residents enjoy beautiful views of the water from their homes, while many others are nestled along the fairways of the golf course. The Point hosts the Trump National Golf Club Charlotte, designed by Greg Norman, this course has been described as one of the most spectacular and exciting courses in all of North Carolina. More than two-thirds of the holes play directly along or over the water on this beautiful, diverse course, which presents challenges to golfers of all skill levels. With our exquisite practice facility and highly trained professionals, Trump National is fully equipped to provide members and their guests with an elite golf experience. The Lake Club has become one of the most sought-after destinations in the region for wedding receptions and corporate gatherings. It can accommodate seated gatherings of 300 people in the spectacular waterfront setting. 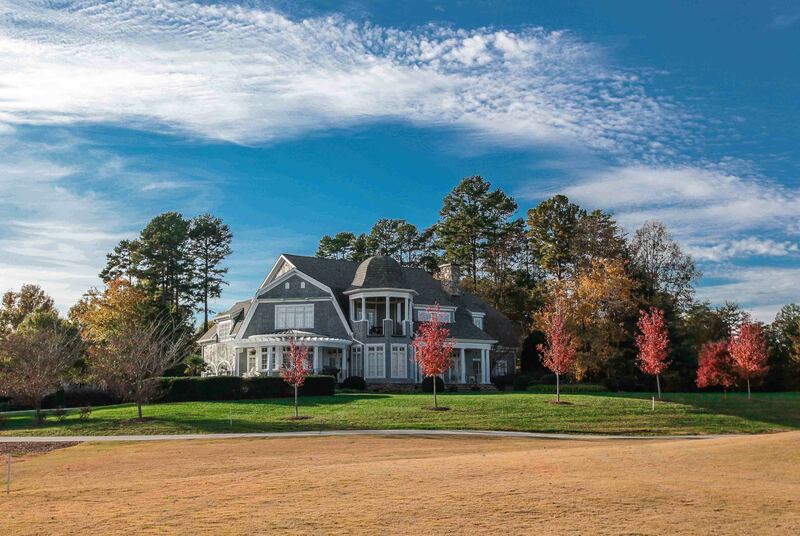 The Village and community facilities complement the casual Lake Norman setting. The country club lifestyle, a full-time activities director and The Point’s many amenities offer year-around enjoyment to residents of every age. Just north of Charlotte, minutes from I-77, The Point is close to the necessities and conveniences of a major metropolitan area. The Point’s location, The Village and amenities area, the activities for kids and families, and the enticement of the lakefront combine to make this community an unparalleled place to live.